Karen Davila visited Anihan on Thursday, 27 March 2014. Together with her TV crew, Ms. Davila did a coverage of the school for the show, My Puhunan. The show airs every Wednesday, 4:45 pm, on ABS-CBN. The tentative date for the episode where Anihan will be featured is April 16. Before she left, Ms. Davila posted on Instagram the above collage of Anihan photos. 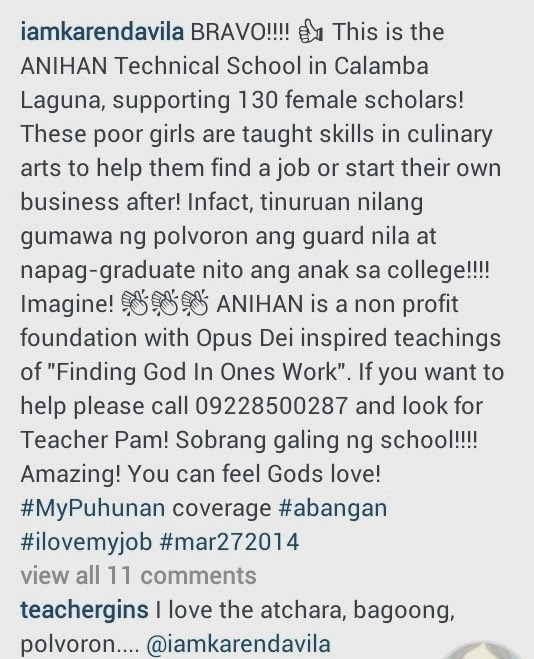 Thank you, Ms. Karen Davila, for your visit and for endorsing Anihan! We look forward to the next episodes of My Puhunan!